Would like to thank you and your team for the work you have done with the clears for my golf cart. We are extremely happy they are very easy to put on and take of the work you have done is awesome. I would not hesitate to recommend your Company Award trimmings in Mordialloc to anyone. Once again thank you and your team. 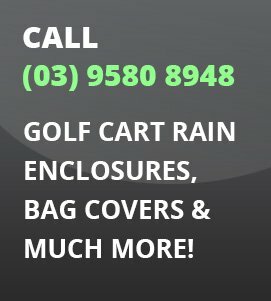 Excellent service, great prices, the best place for all of your golf cart accessories; I would recommend this for all of my friends.